A miniature, no-melt version of one of my favorite desserts. 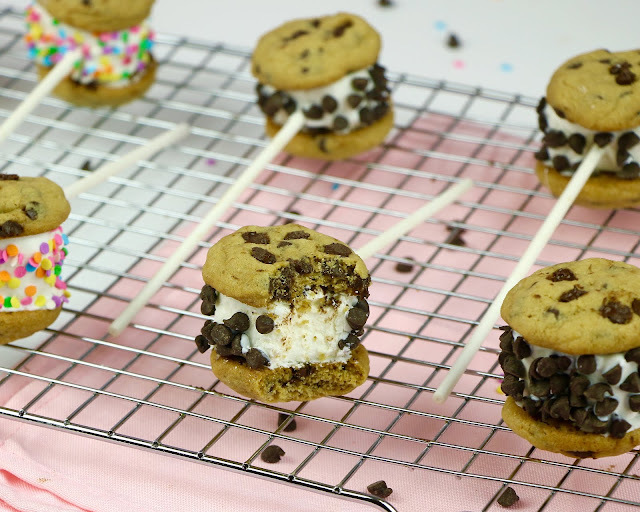 These bite-sized little Chocolate Chip Cookies Pops look just like mini cookie ice cream sandwiches on a stick, but so much cuter. 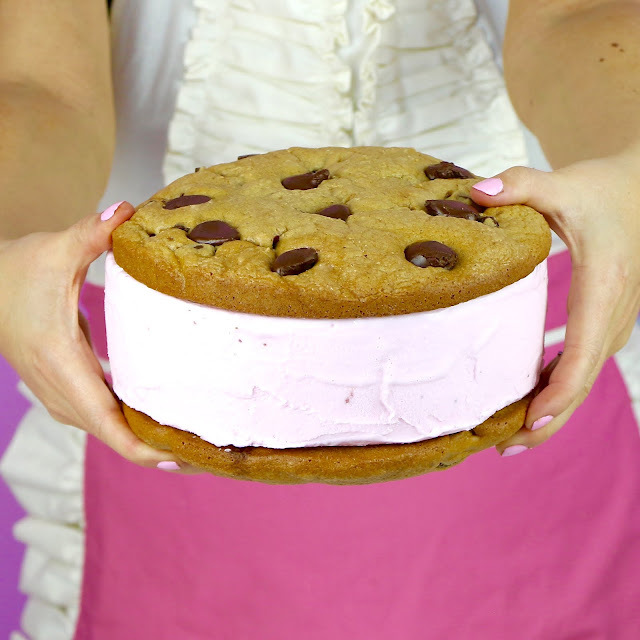 I'm sure you remember when I made my giant cookie ice cream sandwich, so I wanted to create a mini version, because I am so obsessed with how cute these turned out. And I couldn't resist putting these on a stick, because we all know, food on a stick just tastes better and is way cuter. 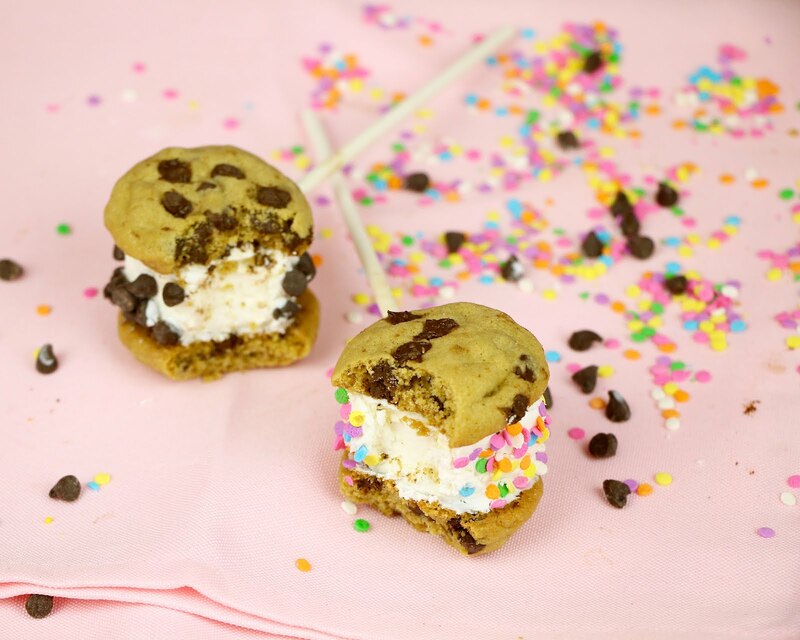 Now, the reason these are melt-free, is because these little cookie sandwiches are not actually made with ice cream. 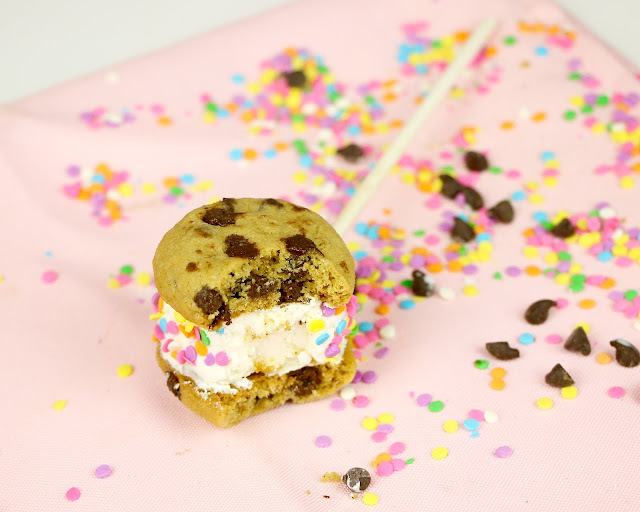 I used marshmallows dipped in melted white chocolate to give that ice cream cookie sandwich look and added my favorite toppings, to make them look just like the kind you buy at the store. So I used my mini chocolate chip cookie recipe from my last video to make these, but you can also just use mini store bought cookies, if you want to make it super simple. These would be perfect to put out at any party or celebration, or a really fun project to do with your friends or with kids and let everyone create their own custom pops. 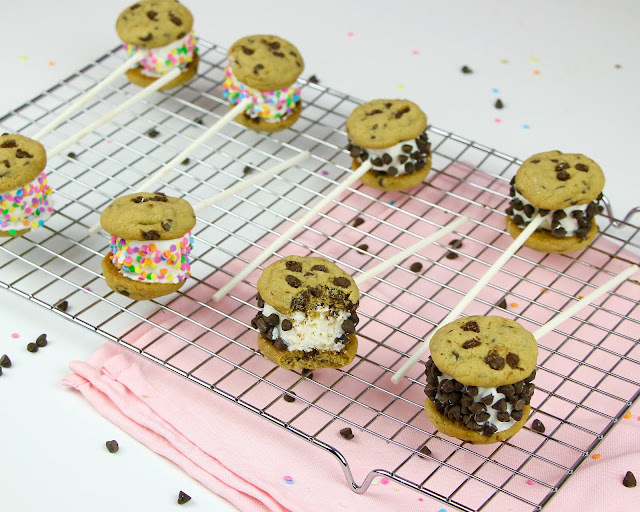 The best part is, you can totally customize these and add your favorite toppings to create fun little treats to match any occasion. 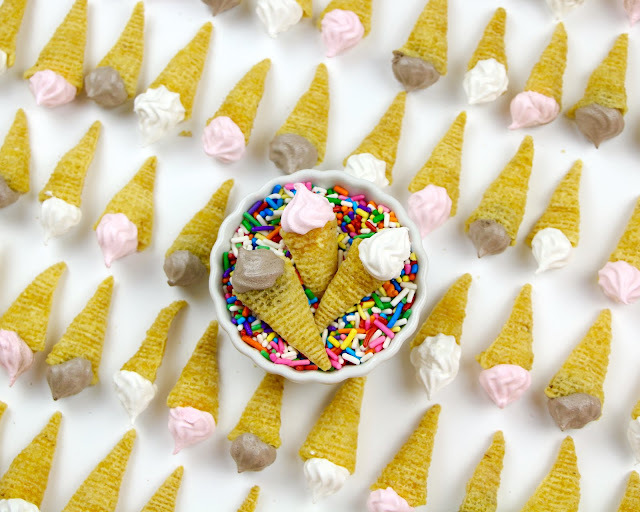 ...or my Mini Bugle Ice Cream Cone Meringues, so be sure to check those videos out too! 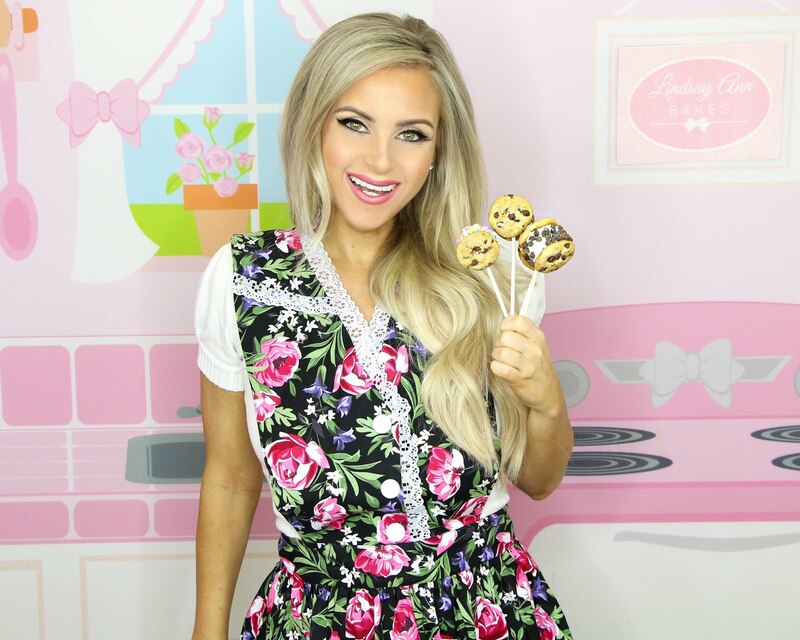 Preheat oven to 350 degrees F. With an electric mixer, beat together the butter, brown sugar, and white sugar, in a large mixing bowl, on medium speed, until light and fluffy. Beat in the egg yolk and vanilla. Add the flour, baking soda and salt. Beat together on low speed, just until incorporated. 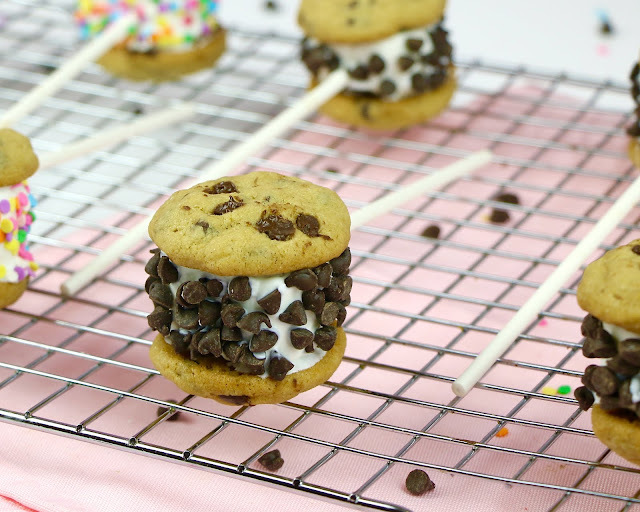 With a rubber spatula or wooden spoon, mix in chocolate chips. Scoop dough into balls, 1 rounded teaspoon each. Place dough balls onto a baking sheet lined with parchment paper. Bake for about 6-9 minutes, until edges just start to turn golden brown. Do not over bake. 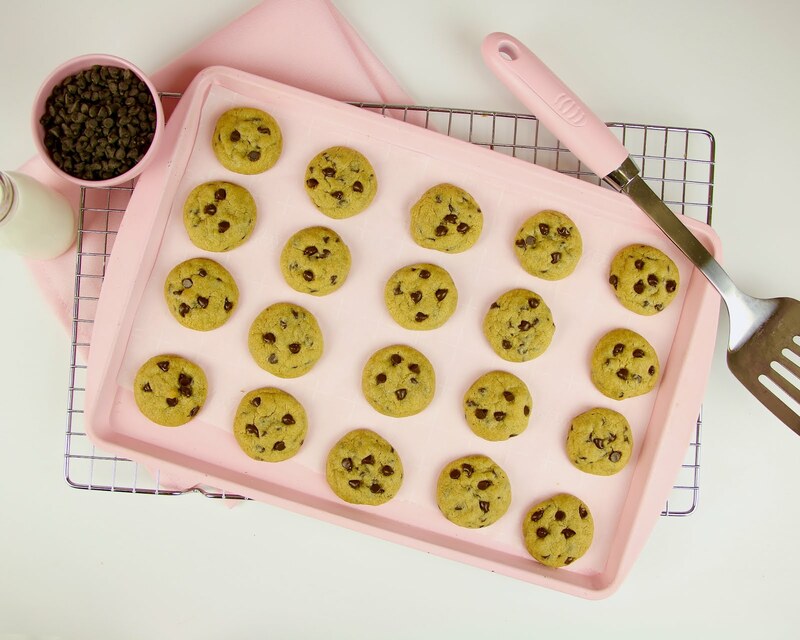 Cool on baking sheet for 3-5 minutes, before transferring to a wire rack to cool completely. 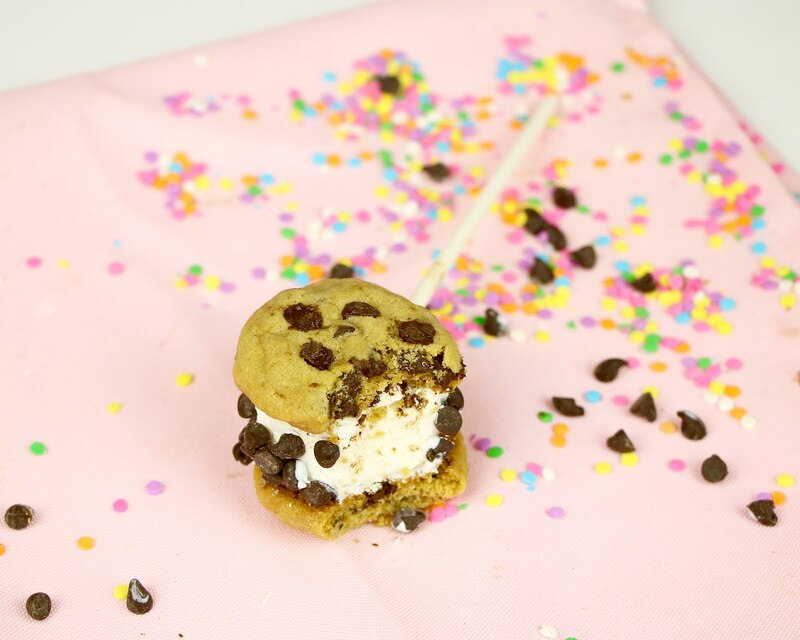 Push the rounded side of a marshmallow onto a lollipop stick, so the flat side is facing outward. 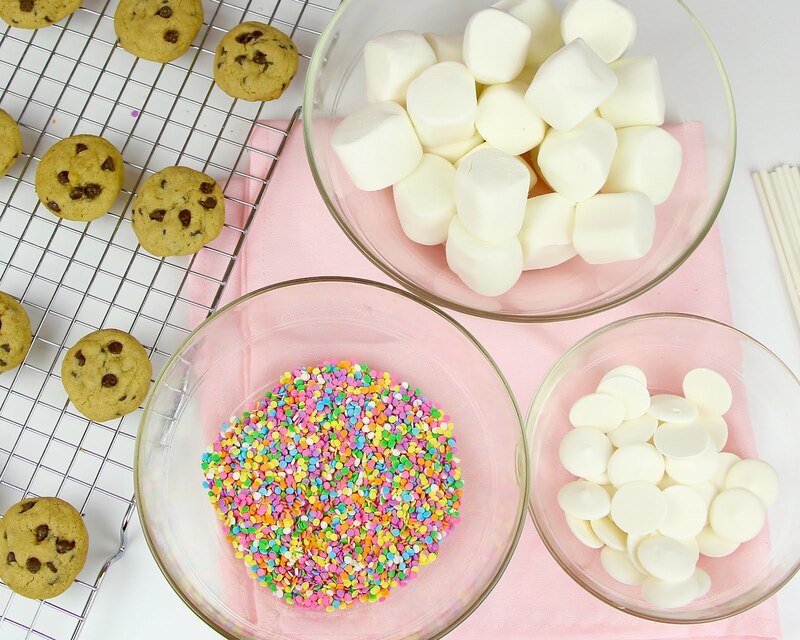 Melt candy melts in a microwave-safe bowl in 30 second intervals, stirring in-between, until melted and smooth. Coat marshmallow in melted candy. Press the bottom of one cookie on to each side, sandwiching the marshmallow in-between. 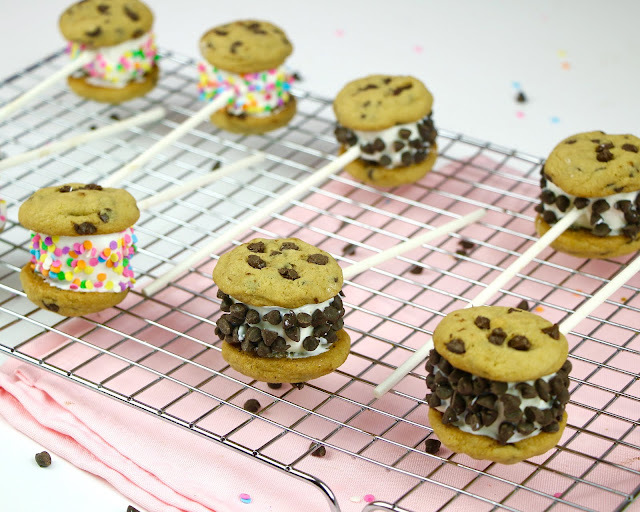 Sprinkle on toppings around the entire side of the marshmallow. Let dry and set before serving. Store in an airtight container at room temperature.